MCRRC is pre-approved to issue SSL (Student Service Learning) credit for students in Montgomery County Public Schools (MCPS). (Students of other school systems may require manual pre-approval.) MCPS students may begin earning SSL hours the summer before entering middle school. Initially, you will need to take complete responsibility for your children’s activities – not only working side-by-side but filling out the paperwork. 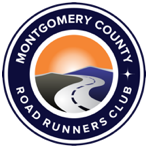 Start by going to the MCRRC volunteer page and entering your own name and contact information. Then select the race. In the optional comments area, state that your children will be volunteering, too. Provide your children’s names and ages and any comments about what activities they are capable of doing and possibly any activities you do not want them to do. If you want to work together, mention that. Eventually, more experienced students can complete the volunteer sign-up form themselves and provide their own phone and email for the contact. But they must recognize that signing up is a commitment and that they are responsible to follow through. Students must be supervised by an adult who represents the club. You may not supervise your own children. This is a technical requirement. It does not mean you cannot advise your children nor does it stop you from working side by side with your children; however, there must still be another adult who is officially the supervisor. For example, if you are working at a water stop, there should be a water stop captain who qualifies as the supervisor. After the SSL hours are over, fill out the MCPS SSL Verification form. The student should fill in the Reflection section. To make it easier on the supervisor, fill in as many of the remaining fields as you can. For example, if you know the supervisor’s full name, fill it in. Lastly, mark a big X next to the fields that the supervisor must fill out, such as the supervisor signature field. Hand it to the supervisor along with a pen and a writing surface. Thank the supervisor! Keep a copy of the SSL form and have your children turn in the original to the school’s SSL coordinator. That’s it! Note that the usual SSL restrictions apply and some are particularly significant to MCRRC volunteering. For instance, some MCRRC jobs are paid or would normally be done by a paid employee. Such activities do not qualify for SSL. SSL activities may not be done in the student’s home. Time spent getting to the activity does not count as SSL hours. Finally, there is a limit of 8 SSL hours in any 24-hour period.